Here's an American actor and comedian Martin Starr who once revealed qualities he expects in his future girlfriend via social media. Though he doesn't have a long list of expectations, his demands would certainly make everyone laugh out loud. Well, you all people might be so excited to know details about his personal life, isn't it? Let's get all the details below! Martin Starr's Dating Life: Is He Dating a Girlfriend? American actor Martin Starr who rose to prominence as Bill Haverchuck on the short-lived comedy-drama Freaks and Geeks became fans favorite overnight. His perfect acting skill and charming personality made everyone fall for him. Well, there's a question in everyone's mind, is the star still single or dating someone special? For the answer to the very question, it seems we still have to wait for some more as Starr is yet not ready to respond to all such questions. While all of his fans are still in dilemma, he once stated via Twitter the qualities he expects in his girlfriend. Meanwhile, the star is very busy embracing his career and that the reason why he is still not ready to date a perfect girl for him. We hope to see him with his soulmate very soon! Starr is best known for NBC's Freaks and Geeks. In 2005, he performed in the miniseries Revelations and the CBS's How I Met Your Mother. 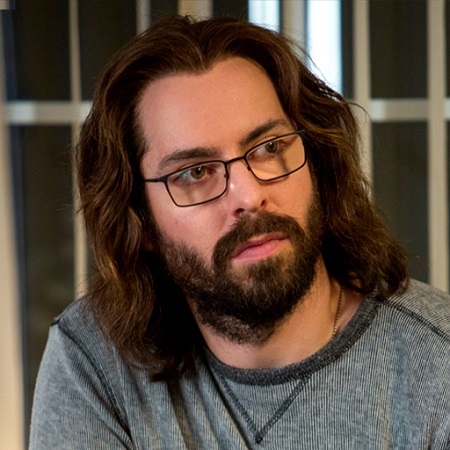 Later, in 2014, he played the role of Bertram Gilfoyle in the HBO comedy Silicon Valley. Some of his movies include Veronica Mars, Lemon, Spider-Man: Homecoming, and The Incredible Hulk. In addition to it, he gained equal success playing in numerous TV series like Hawaii Five-0, Life in Pieces, and Future Man. Born on 30 July 1982 in Santa Monica, California. He is the son of James Schienle and actress Jean St. James. He belongs to British, German and eastern European descent. He follows the Buddhist religion. He also played guest roles in Childrens Hospital and Mad Love, Community. He has an estimated net worth of about $3 million as of 2019.